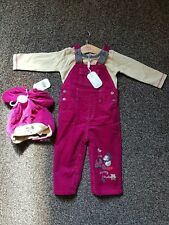 Disney Mickey Mouse pack of 2 rompers Size - 18-24 months Bought from Tesco store last year for £9. Perfect for upcoming summer In excellent condition as my son only wore these a handful of times. Happy bidding! 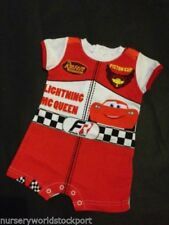 Mickey Mouse Baby Boy Outfit Up To 3months. Condition is Used. Dispatched with Royal Mail 2nd Class. Lovely Baby Mickey Mouse embroidered Dungarees. 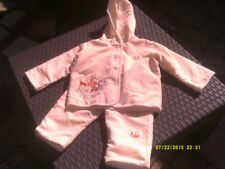 Disney tigger Baby Boys Top & George Lined Jeans Aged 9-12 Months In excellent used condition. If I've missed anything it will be a genuine error that I would like to correct. Disney At Primark Baby Boys Dungarees And Bodysuit. This adorable outfit will be a lovely addition to their pre loved wardrobe. The outfit is in very good condition. Colour May Vary Due To Lighting And Monitor. Boys age 6-9 months denim dungaree shorts by Disney for Ladybird in good condition. No marks or flaws. Snap buttons on legs for easy nappy changing. WALT DISNEY MICKEY MOUSE CUDDLY SOFT BOOTIE SOX. 6 - 18 MONTHS.